The NYPD said that it has received 50 threats against officers since the fatal police shootings of black men in Louisiana and Minnesota but that none of those threats have been deemed credible. The department made the announcement a day after a sniper attack on 12 officers in Dallas. It also issued a memo requiring all officers to double up on patrols and even take their meals and breaks in pairs. Mayor de Blasio said that the move is being made out of an abundance of caution. 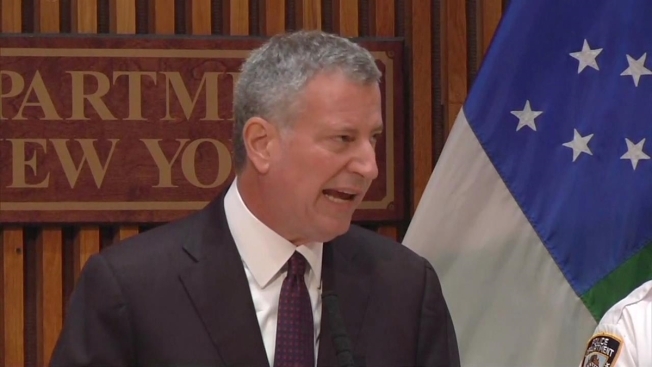 “Thank God there is no specific threat directed here,” de Blasio said. NYPD officials said that it has investigated each of the 50 threats and continues to look into 17 of the ones that were posted to social media or called in. NYPD Commissioner Bill Bratton said that the department typically sees threats after high-profile cases of violence involving police. "We don't consider any of those threats to be credible," said Bratton. The NYPD's stepped-up security measures come hours after a lone gunman opened fire on law enforcement following a demonstration in Dallas late Thursday. Seven police and transit officers were wounded; five were killed. During a stand-off with police, the gunman, identified as 25-year-old Micah X. Johnson, of Mesquite, said he was angry about fatal police shootings of black men in Louisiana and Minnesota and that he wanted to kill white law enforcement officers. 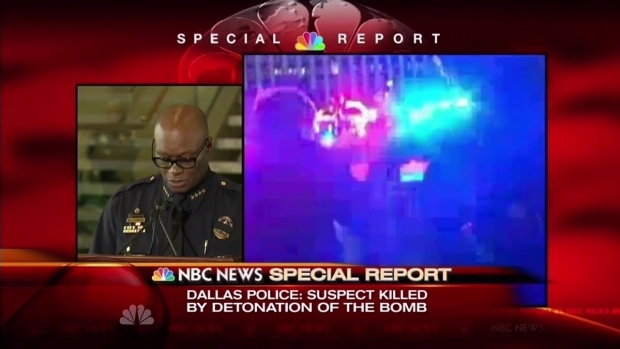 After hours of negotiations, Dallas police say Johnson was killed by explosives officers used to blast him out as the reeling city awoke to news of the deadliest day for law enforcement since Sept. 11, 2001. Before he was killed, Johnson said he was not affiliated with any group, carried out the act alone and said police would eventually find the IEDs he claimed to have placed around the city. A sweep of the area yielded no explosives. 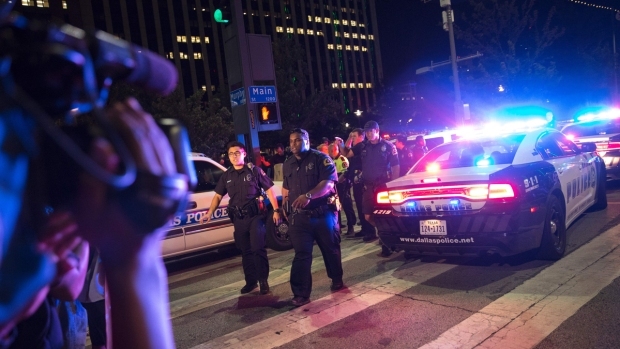 Five officers are dead — four Dallas police officers and one Dallas Area Rapid Transit officer — after snipers ambushed and opened fire on police at the end of a peaceful protest against nationwide officer-involved shootings Thursday night, officials say. Police Chief David Brown said three suspects were in custody and police are investigating if anyone else was involved. Bratton on Friday compared the killings to the deaths of NYPD officers Rafael Ramos and Wenjian Liu, both of whom were gunned down in their patrol car by a man who posted to Instagram that he was "putting wings on pigs" in the wake of a grand jury decision not to prosecute an NYPD officer in the chokehold death of Eric Garner. "This is a continuing crisis in this country that needs to be addressed," Bratton said. He added that what happened in Dallas "needs to be a clarion for all of us in this country to take seriously the grievances that many in the minority community of this country have as well as the concerns that police have." After the shootings, several NYPD Twitter accounts, including different units and precincts, expressed their condolences for the Dallas victims. "Our thoughts and prayers are with our brothers & sisters of @DallasPD & their families," the 9th precinct tweeted. In a news briefing Friday morning, Dallas Police Chief David Brown praised officers in the city during the press conference and said "there are so many stories of great courage," with police "running toward the gunfire." 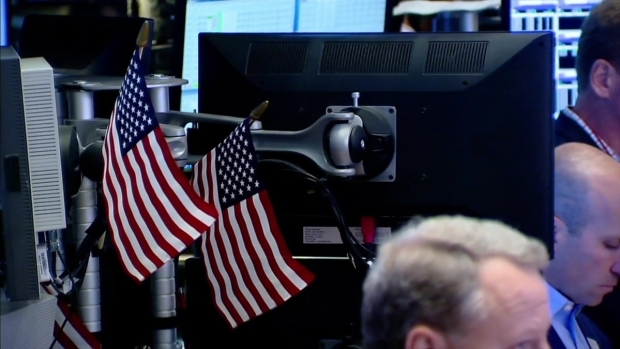 The New York Stock Exchange observed a moment of silence ahead of the opening bell Friday after five law enforcement officers were killed, seven wounded, in a coordinated sniper attack in Dallas, Texas, following a peaceful rally. President Obama echoed those sentiments Friday morning, calling the ambush a "vicious, callous and despicable attack" with "no possible justification." Hours earlier, around the same time that protesters were demonstrating in Dallas on Thursday evening, 1,500 shootings of Alton Sterling and Philando Castile. At least 40 people were arrested in the New York City protests, mostly for disorderly conduct. Bratton said that people looking to demonstrate Friday would be able to do so if they did it legally. De Blasio called on protesters to "be respectful" of officers mourning the deaths of the deaths of police in Dallas. "It's time for mutual respect," said de Blasio. "We need to have some humanity here."